Finland, get your game face on! It's football season in the US and hockey season here. As a dual-citizen I casually follow both. For team sport lovers we're in a great time of year. For those of us who follow the Finnish economy, not so much. Finland is in a fragile place. With key economists predicting our economy contracting at 0.4% this year and growth forecasts in 2015 among the lowest in Europe at 0.6%, it seems that we're losing the game. You, of course, know that China is growing. Measured with purchasing power, China will occupy the driver's seat of the world economy already this year. China's millionaire population is now the world's second largest. Its megacities are huge and by 2020 there will be 20 cities with over 20 million inhabitants. People are power, distinguishing and highlighting everything in life. People are the ones who make things happen and find directions for the future. Inspiration, belief and action are the three factors which move projects, corporations and nations to new horizons. Finland amazingly has created one of the best startup ecosystems in the world, driven by a powerful community of like-minded people. Public transport should be as easy, convenient and flexible as owning a car. But instead we are still stuck with a transport system that hasn't changed much since the car was first invented. Why should we have to own a car anyway – it spends 95% of its existence parked, blocking up our cities and polluting our air when it actually does move. I want a smart solution to moving from A to B when I need to, in the most appropriate way. What we need is a transport revolution! 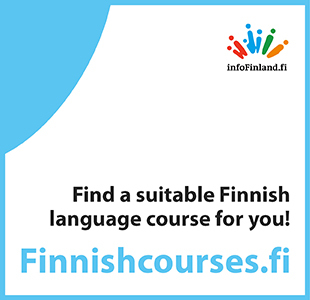 There is a shortage of talented people in Finland. Finland's population is aging faster than any other European state, and with more of them retiring by the day, the problem is going to get worse before it gets better. 2014 may be the year where startups really hit the mainstream in Finland. And none too soon, given the downward spiral of job trends in many sectors dominated by large incumbent players. More and more data is showing globally that young companies generate most jobs. In fact in a recent Kaufman Foundation study, in the US over the last 25 years companies younger than 5 years old have created nearly all the net new jobs. Conversely companies more than 5 years old actually destroyed more jobs than they created in all but 8 of the years between 1988 and 2011! FINLAND and Helsinki are doing great. Finland climbed to number one in the WEF's Europe's top 10 most competitive economies 2014 list. The Grant Thornton Global Dynamism Index also ranked Finland as the most dynamic country in Europe. According to rankings by Financial Times, Ernst & Young and IBM-PLI, Helsinki is among the top investment locations in Europe. The capital region has also exceeded its neighbouring capital regions in the number of foreign investments it attracts since 2011. It's that time of year again. As the weather turns grey and dreary in Finland, we are once again gearing up to go startup crazy. The aptly-named Slush is a two-day startup event with a single purpose – to connect entrepreneurs with top-tier investors, corporate execs and media. 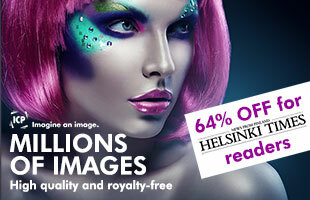 This year, a remarkable ten thousand people will brave the slushy streets of Helsinki to attend the event. Since its humble beginnings in 2008 with 300 participants, Slush is now one of the largest events in the Nordics and attracts attention the world over. Russian startups, we salute you! Finland and Russia have shared a lengthy border for many years. Regimes have come and gone. Czars, Kings, Presidents, Commissars, Chairmen – they have come and gone. What has stayed constant is trade and mutual dependency. From squirrel skins and samovars to high tech, Finland and Russia have been engaged in active trade that has been a benefit to both nations. Trade has cross-pollinated cultures, and has brought people together throughout the centuries. While the powers that be may have had their disputes and disagreements, people have cooperated, interacted, and traded. Whenever someone mentions gaming, the first thing that may pop into their head is an image of an oddly shaped avian species flying against the barracks of pigs or troops of clansmen battling out for their place under the sun. Or maybe it is a game of Tetris from the '80s (hey, it was loads of fun back in the day). Whatever the case, gaming by definition has a distinct fun allure to it... until now, because even gaming is getting serious. Today, Finland's ICT industry is going through the worst of times and the best of times. The situation is very tough as almost 20,000 ICT jobs have been lost after Nokia fell from its once dominating global market leader position in the mobile handset business. Those of us who worked for Nokia witnessed an incredible rise to a globally dominant market position, owning that peak position for over 10 years and then, a fast and painful collapse. Traditionally, there has been an undersupply of ICT workers in Finland but now the situation is quite different. Finland, don't be afraid of the crowds!